Welcome to TG&S on the Web! Members are now receiving TG&S directly as PDF attachments to e-mail (but hard copy is sent by regular mail if members choose). We have meanwhile discontinued reformatting the content of each monthly issue for the Web. Perhaps this site can evolve as a venue where selected notices or resources may be posted from time to time, as directed by the membership and/or the board, to provide enhanced content, rather than a mirror of the published newsletter. The chapter's program calendar for the current year has been updated on this page, as well as on the chapter's home page maintained at the AGO Headquarters site. Other destination pages on this site can retain their original functions: the committees page, and the archived issues page. New issues of TG&S can continue to be archived as they are published. Caveat: because the newsletter's production method has been in flux over the past year, you may find that some links to archived issues will not work. Please do not hesitate to notify me if any vital information on these pages needs correction. We will try to correct the technical problem with linking to recently archived issues. The New London Chapter, in conjunction with the Music at Central series at Central Baptist Church, Norwich, is co-sponsoring a workshop entitled The Art of Hymn Playing, to be led by Charles Callahan on May 5, 2012. The workshop will be free to New London Chapter members, but will also be open to other chapters and the public. Since the workshop is limited to the first 100 people, you are asked to pre-register by contacting David Warfield at dcwarfield@yahoo.com, or by telephone at 860-887-8683. Charles Callahan is one of America's leading organist-composers. A native of Cambridge, Massachusetts, he is a graduate of the Curtis Institute of Music and the Catholic University of America. Well-known as an improvisateur, he made his debut in this realm at the International Eucharistic Congress in 1976. He has collaborated with many of this country's leading conductors as both composer and organist and has worked with noted stage and screen personalities in both theatre and the concert hall. Orchestras, choirs, chamber music ensembles and soloists all over the world have performed compositions by Dr. Callahan. The New London County Chapter of the American Guild of Organists is very pleased to sponsor the Roberta Bitgood Scholarship, which endeavors to assist pianists and beginning organists who would like to study the organ in depth and who intend to seek employment as a church musician. This year, $750 is to be awarded. The deadline for applications is Friday, May 4th; those received after may not be considered. Requirements for the applicant include: applicants must be Connecticut residents; the applicant must have some type of previous keyboard experience and an enthusiasm for the organ; he or she must demonstrate a degree of musical potential and commitment; the applicant must have an interview with the three scholarship judges and play two (2) pieces that differ in style in a live performance for the judges. These pieces may be for piano or organ, or both. Some terms of the award include: No cash will be given to the scholarship winner; the award is given on a per lesson basis directly to the organ teacher. The Chapter expects in good faith that the organ teacher will be reasonable in the fee charged for each lesson. We would expect that the recipient receive a minimum of 25-30 lessons. The recipient should realize that the award is for lessons only. Books and other sheet music are to be purchased at the student’s own expense. If the student decides to discontinue taking organ lessons, the teacher should notify the treasurer and the balance of the award will remain in the Roberta Bitgood Scholarship Fund. After one (1) year of study the recipient may choose to appear as a performer in the New London County Chapter Member’s Recital, date and time to be announced. It is a special joy for the chapter members to witness the progress and accomplishment of the student. The recipient has the right to reapply for the scholarship the following year, though no individual may receive the scholarship for more than two (2) years. For more information about the history of the Roberta Bitgood Organ Scholarship, including the 2012 announcement and application form, and a list of past and current winners, please visit the Roberta Bitgood Commons. The Mystic Area Ecumenical Council will sponsor the 2012 Choir Festival Concert on Sunday, April 22, 2012 at 4:00 P.M. at St. Mary Mother of the Redeemer Church, 69 Groton Long Point Rd., Groton CT. Children’s, Youth and Adult singers from ten area churches will combine in this festival worship service. This annual event has featured many internationally known choral directors and composers. This year's festival director will be acclaimed composer, conductor and clinician Sally K. Albrecht of Alfred Publishing Company. SALLY K. ALBRECHT is the Director of School Choral and Classroom Publications for Alfred Publishing. She is a popular choral conductor, composer, and clinician, especially known for her work with choral movement. Sally has produced 13 choral movement DVDs and is the author of two books on the subject, Choral Music in Motion, Volumes 1 and 2. An annual recipient of the ASCAP Special Music Award since 1987, Sally has over 325 popular choral publications in print, more than thirty larger elementary songbooks and musicals, three sacred cantatas, and the top-selling book The Choral Warm-Up Collection. Sally has directed and staged the half-time show singers performing during two Florida Citrus Bowls, and has conducted several honor choir events at Lincoln Center, Carnegie Hall, and The Kennedy Center. A native of Cleveland, Ohio, Sally received a B.A. Degree from Rollins College with a double major in Music and Theater. From there she moved to the University of Miami, where she received both an M.A. in Drama and an M.M. in Accompanying. She has worked with literally thousands of teachers and students through choral honors and all-state festivals, conventions, and workshops in over 40 states, Canada, Singapore, and Australia. Sally and her husband, composer/arranger Jay Althouse, currently enjoy living in Raleigh, North Carolina. They were thrilled and honored to have their composition "I Hear America Singing!" performed during the 2009 Presidential Inauguration Ceremonies. 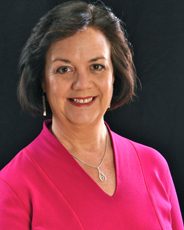 Sally Albrecht will lead a FREE workshop for Choir Directors and singers entitled "Warm-Ups and Work Outs for Choirs" on Friday, April 20, 2012, at 8:00 p.m. at, St. Mary Mother of the Redeemer Church, 69 Groton Long Point, Rd., Groton, CT. It will follow the open adult Choir rehearsal from 5:30 to 7:30 p.m. Refreshments will be served. Cindy Sullivan of Westerly, RI will be the festival accompanist. There will be guest musicians as well. A free-will offering will be taken at the festival concert. For more information call 860-536-7171.